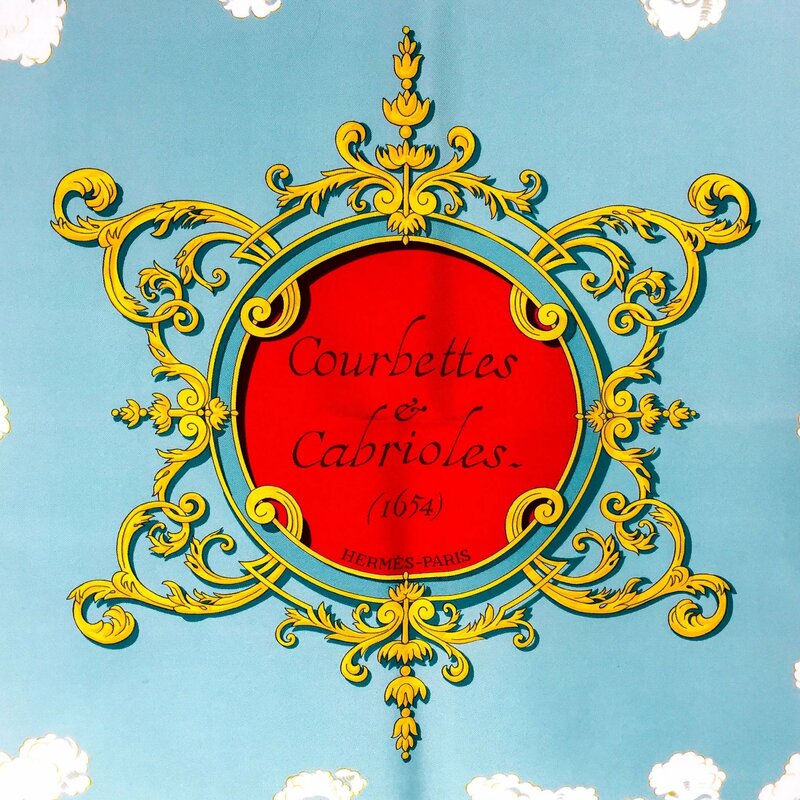 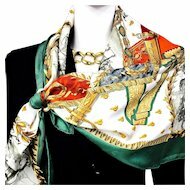 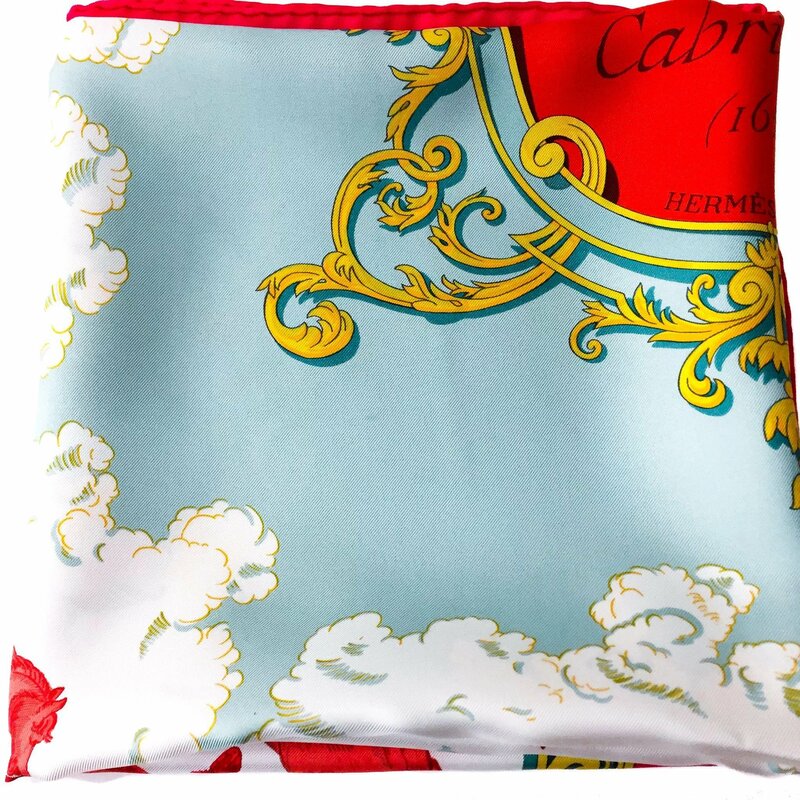 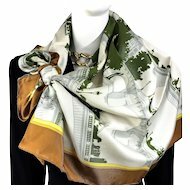 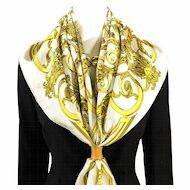 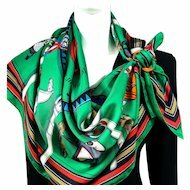 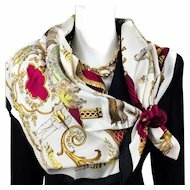 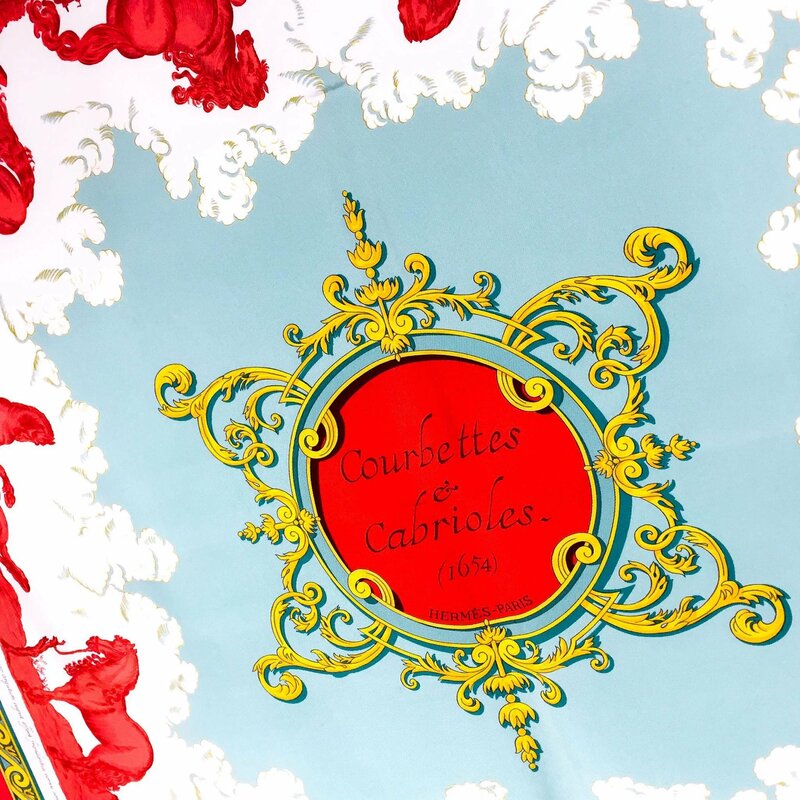 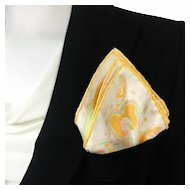 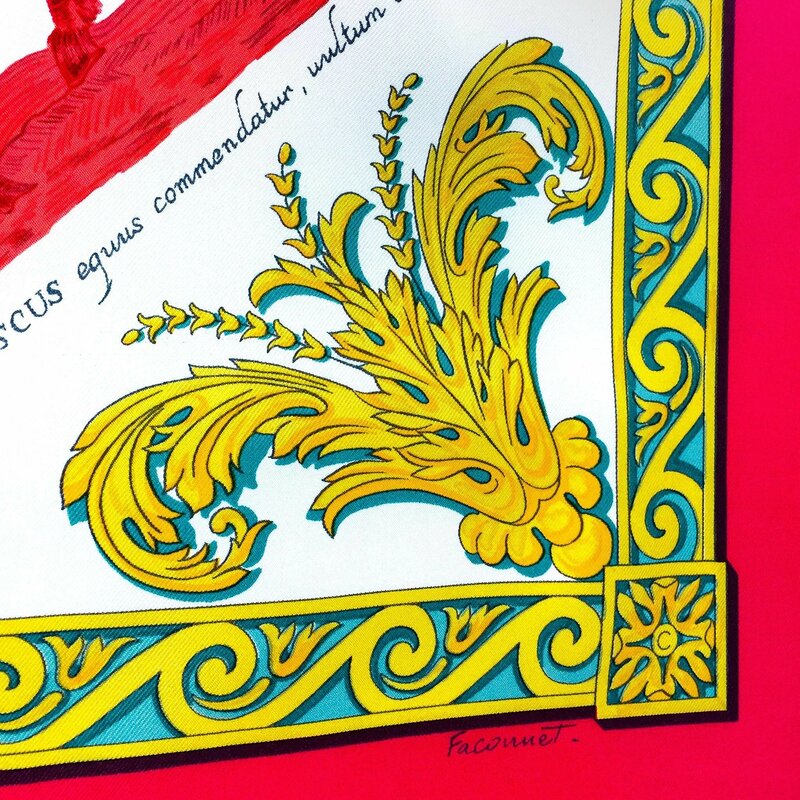 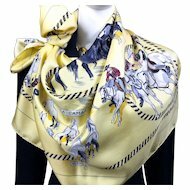 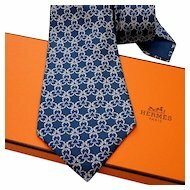 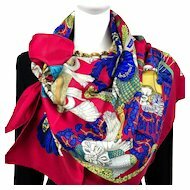 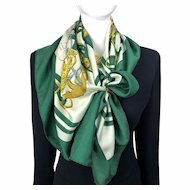 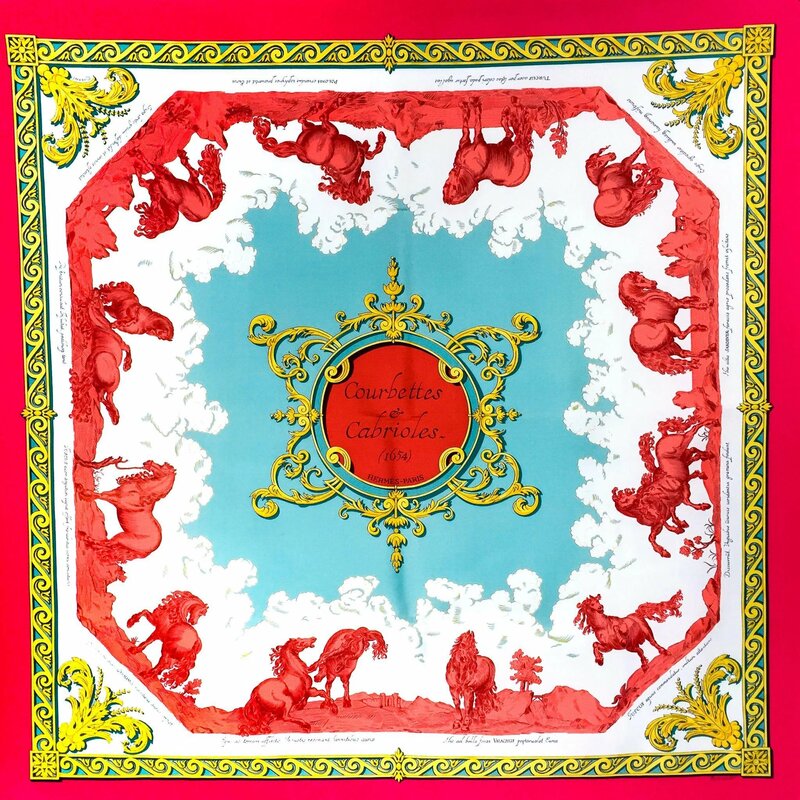 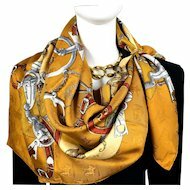 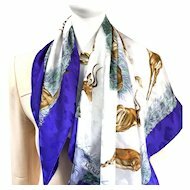 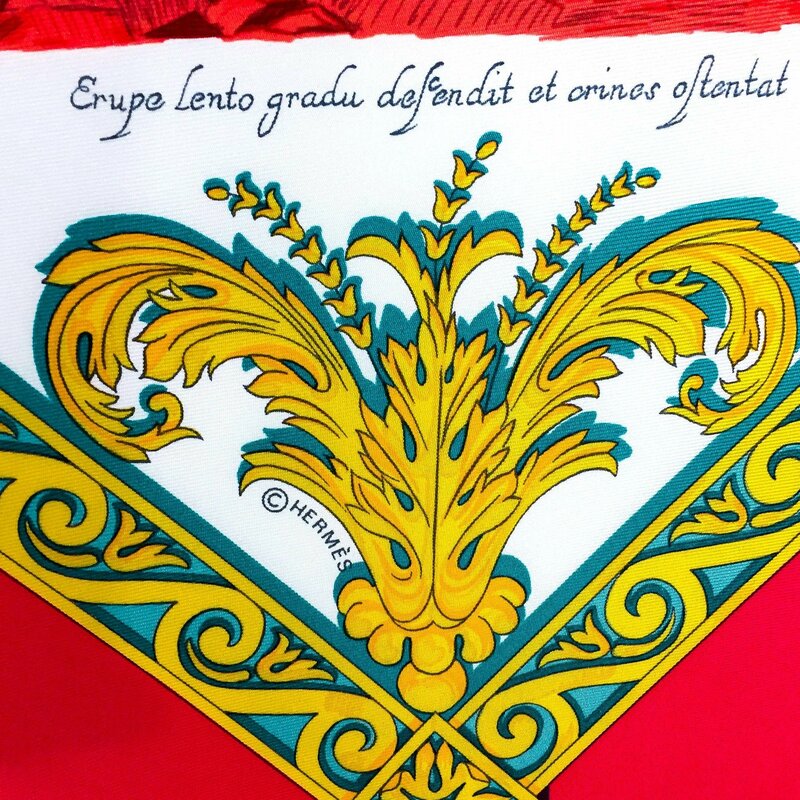 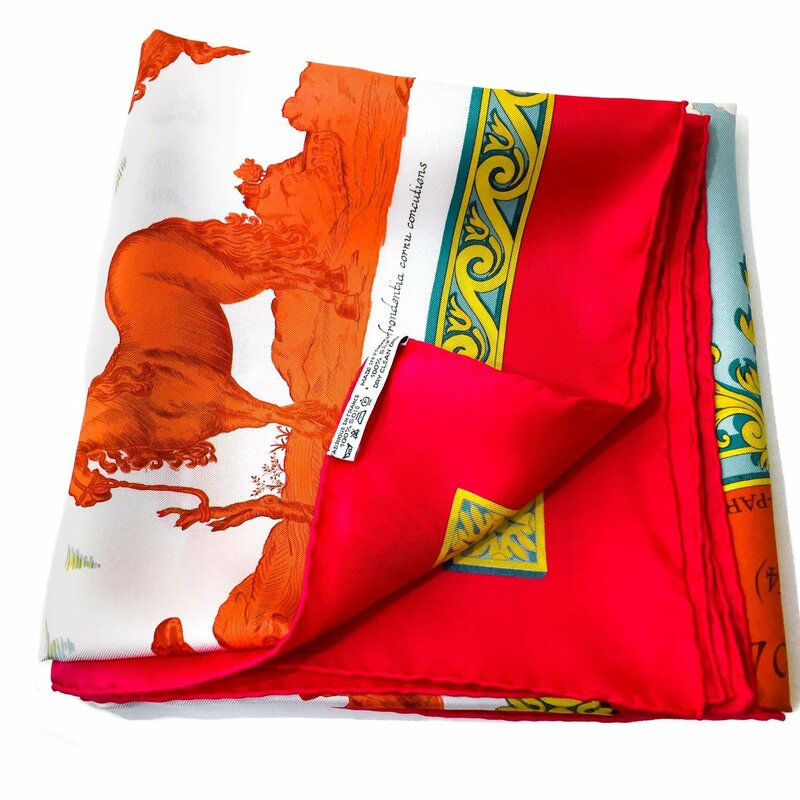 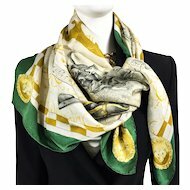 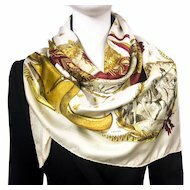 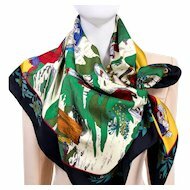 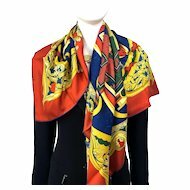 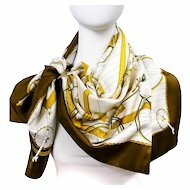 Rare Hermès Silk Scarf Courbettes et Cabrioles (1654) by Françoise Faconnet was first issued in 1962. 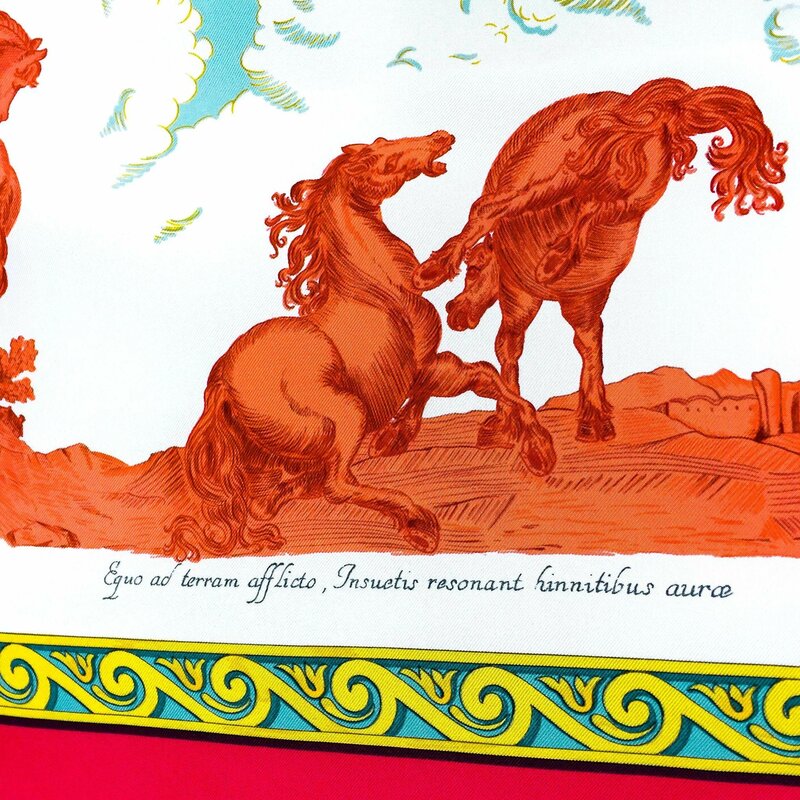 Madame Faconnet brings her horses alive with her amazing attention to detail so much so, that we can sense the energy and the power of these leaping stallions. 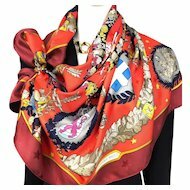 Gorgeous reissue in a dramatic colorway of vivid pink, orange, red and aqua blue.